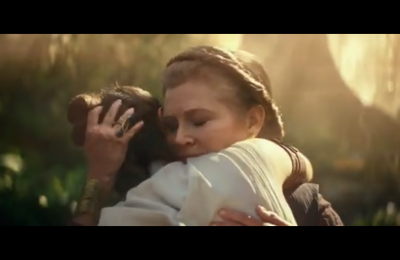 Behind The Thrills | Star Wars The Force Awakens Poster hits-new trailer hits tomorrow! Star Wars The Force Awakens Poster hits-new trailer hits tomorrow! Star Wars The Force Awakens Poster hits-new trailer hits tomorrow! It’s here! 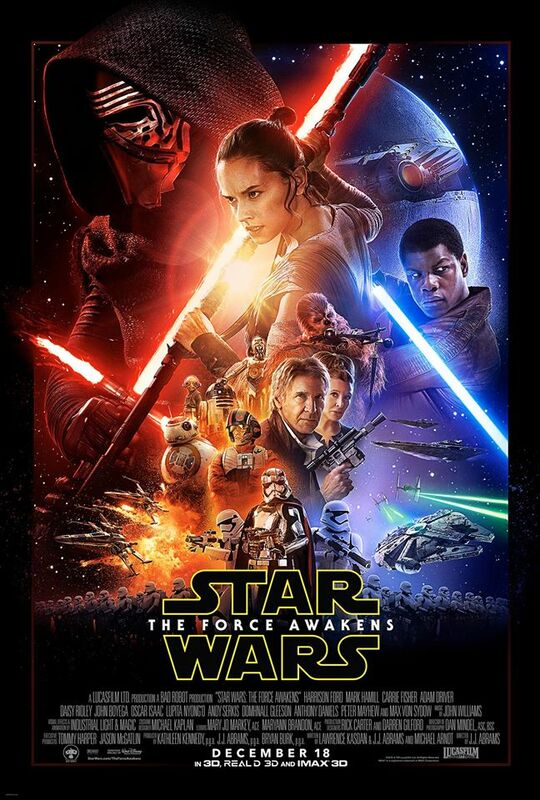 It’s the official one sheet that you will be seeing in theaters for the all new Star Wars-The Force Awakens. The new film hits theaters on December 18th, in both regular and IMAX formats. The new poster gives us a good look at all the characters, the light and the dark, and everything in between! The announcement comes from the official Star Wars website. The Facebook page also says that an all new trailer will hit tomorrow night, Monday October 19th, during Monday Night Football on ESPN. The rumor is that the trailer will hit around 8:30 p.m. and will hit the web shortly after. Tickets will also go on sale after the trailer hits. The new poster really looks amazing, but suspiciously, Luke Skywalker is missing! The Star Wars Marathon Event is the ultimate fan experience. All seven movies. One epic journey. Guests will see each of the six previously released Star Warsepisodes in digital 2D beginning with The Phantom Menace and concluding with the opening of Star Wars: The Force Awakens in 3D! Guests will also receive a lanyard featuring exclusive marathon art. Coming December 17. IN ADDITION, there will be a huge after hours party at Disney Springs at Walt Disney World. Guests will be able to purchase these special tickets, see the film, then enjoy a special after hours party at Disney’s Hollywood Studios. 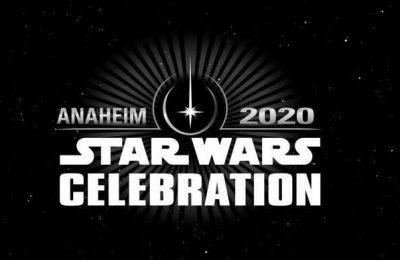 This will be huge, as the event will most likely include exclusive access to Star Tours, with the special new scenes that will be added to the ride! Tickets will go on sale at the official link tomorrow, click here! We now have three awesome new teasers that have been airing on ESPN all day! What do you think? Are you overly excited? 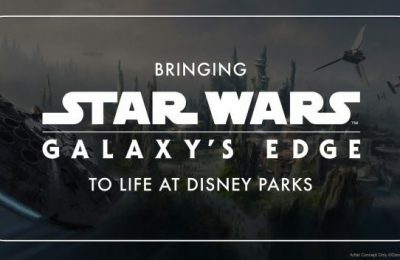 Stay tuned for more from Disney and Star Wars, and be sure to get social with us on Facebook and follow along with us on Twitter @BehindThrills for the latest updates! More information can be found at the official StarWars.com! Previous PostNew Frozen themed jet hitting the skies from WestJet Next PostBTT Toybox: TMNT Power Sound FX Combat Gear Toy Review!